There is no shortage of options to choose from when it comes to selecting a ferry from Aegean Islands to Cyclades Islands. There are 1 ferry company with a combined offering of 14 Ferry Routes connecting Chios to Syros & Mykonos, Evdilos to Mykonos & Syros, Agios Kirikos to Mykonos & Syros, Evdilos to Mykonos & Syros, Fournoi to Mykonos & Syros, Vathi to Mykonos & Syros, Mytilene to Mykonos & Syros, Limnos (Myrina) to Mykonos & Syros & Mytilene to Mykonos & Syros. The fastest route between Aegean Islands and Cyclades Islands is Evdilos to Mykonos with a crossing duration of around 1 hour 55 minutes. With so many routes on offer we make it simple by comparing all similar routes in one search so you can quickly find what you are looking for. 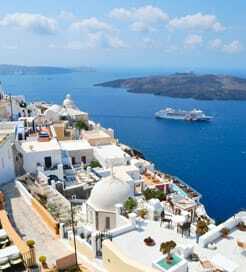 The Cyclades are an archipelago in Greece, southeast of the mainland in the Aegean Sea, containing just thirty three inhabited islands from a total of two hundred and twenty. 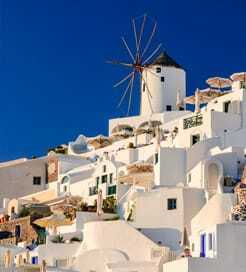 Quintessentially Greek, this is arguably the best selection of islands in the Aegean. Standing out from the crowd are Mykonos and Santorini, earning international stardom with their white-washed villages, glistening waters, rugged coastlines and jumping nightlife. Uninhabited, the centrally located Delos is the supposed birthplace of Apollo, boasting intricate mosaics and breath-taking monuments of antiquity. They offer everything you would expect from this beautiful part of the world; so depending on where you step off the ferry, you can hike glorious trails, relax on fine beaches or indulge in fresh, classic Greek dishes. The demand for ferries in Greece is incredibly high, resulting in top-quality services and frequent sailings to and from many destinations. The Cyclades are no different, with regular ferry routes from numerous islands, within the archipelago, and from ports on the mainland, including Piraeus in Athens.